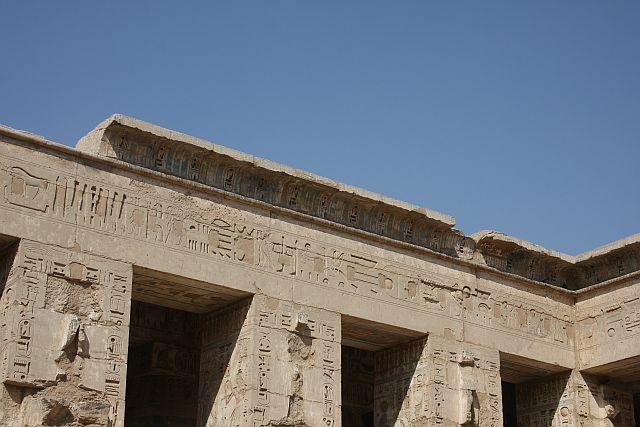 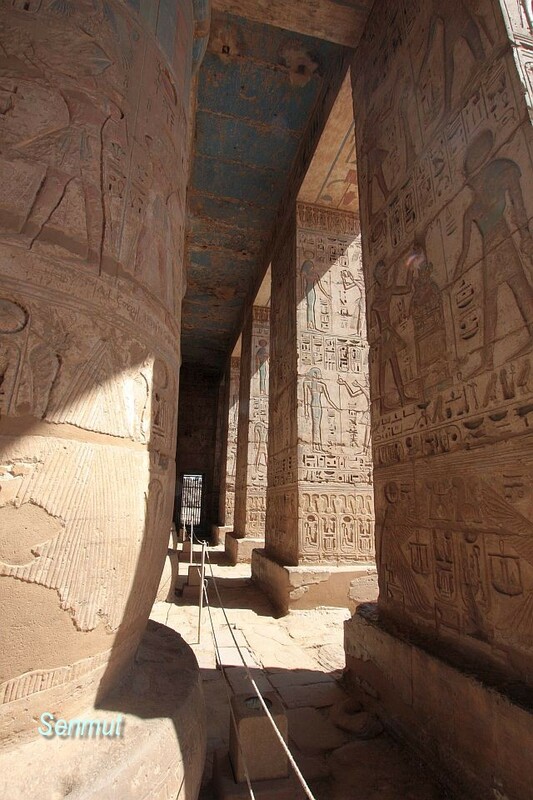 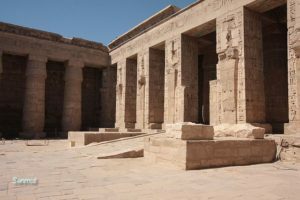 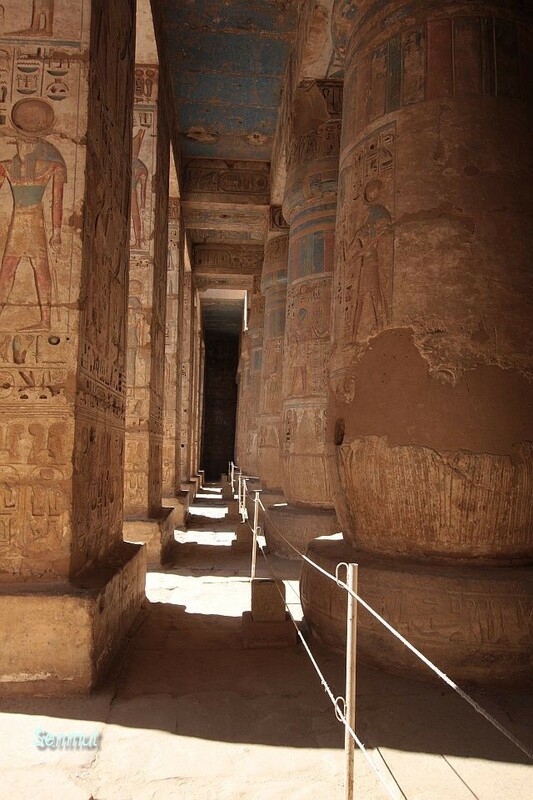 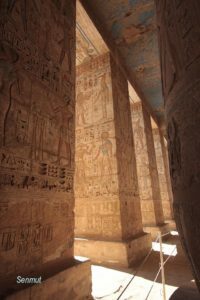 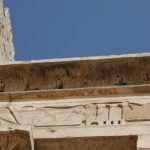 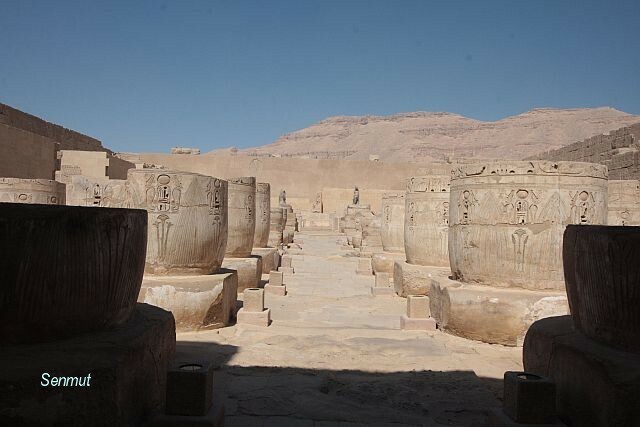 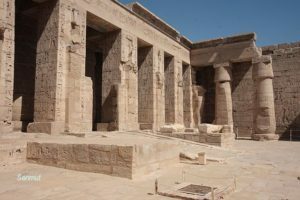 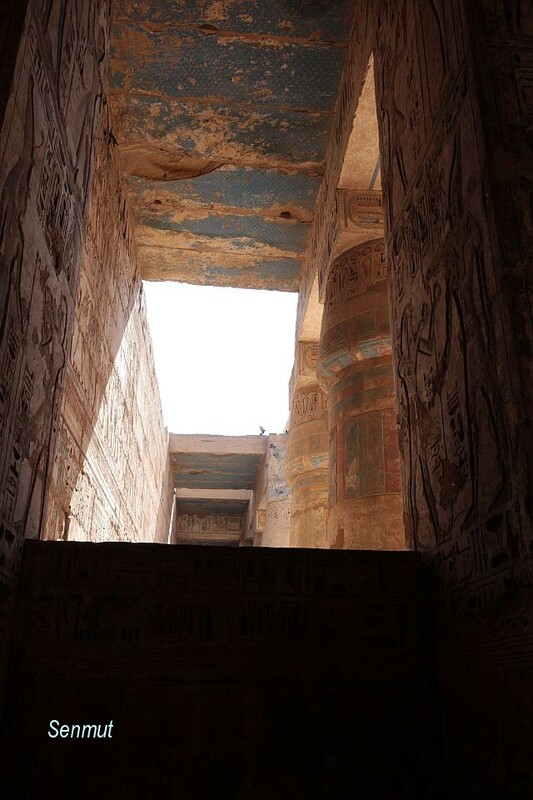 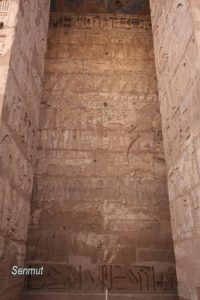 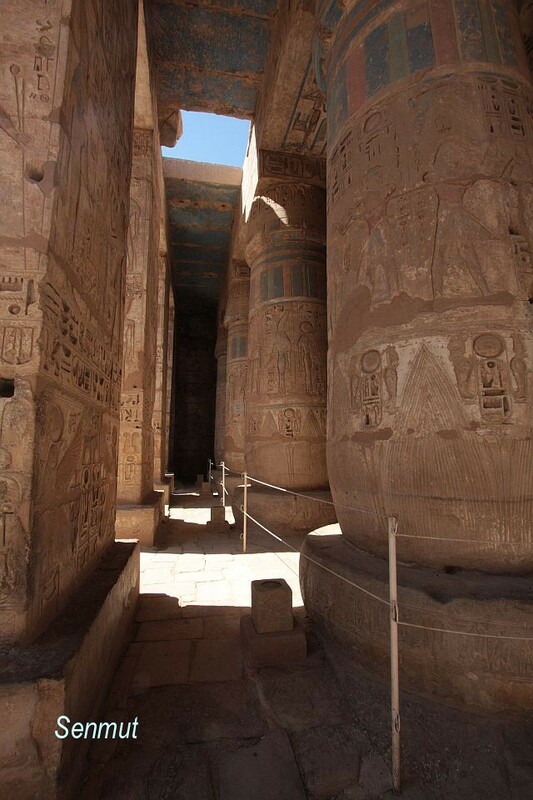 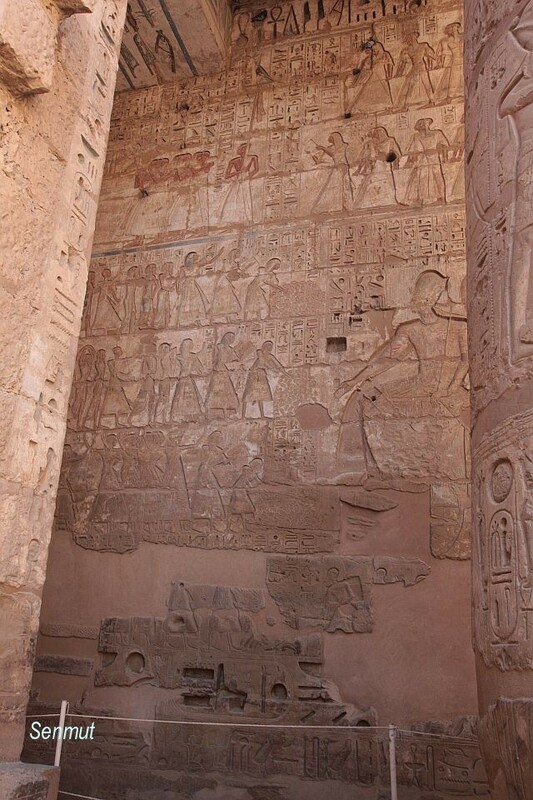 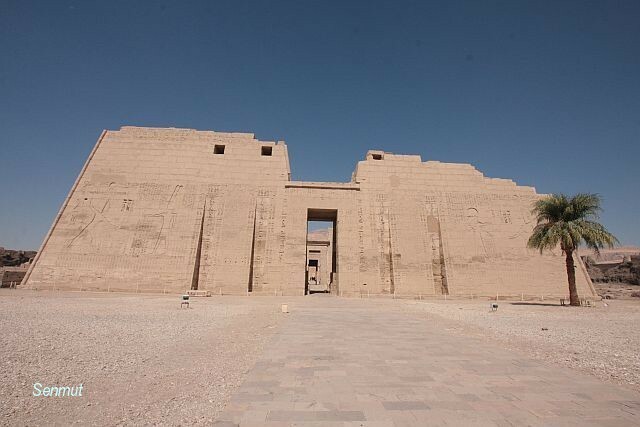 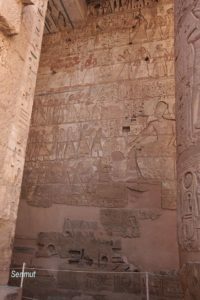 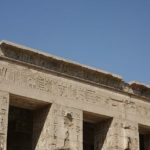 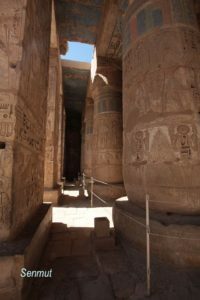 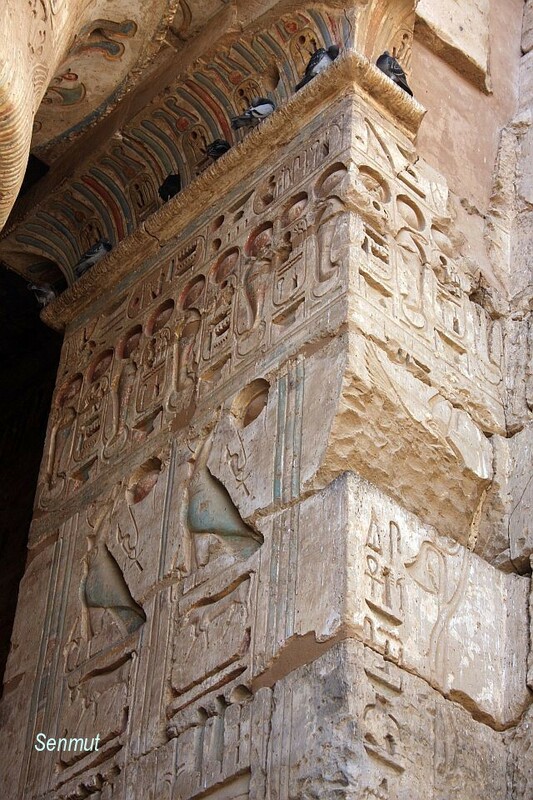 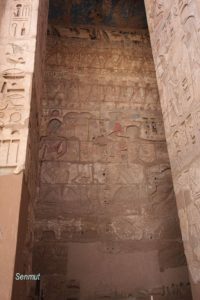 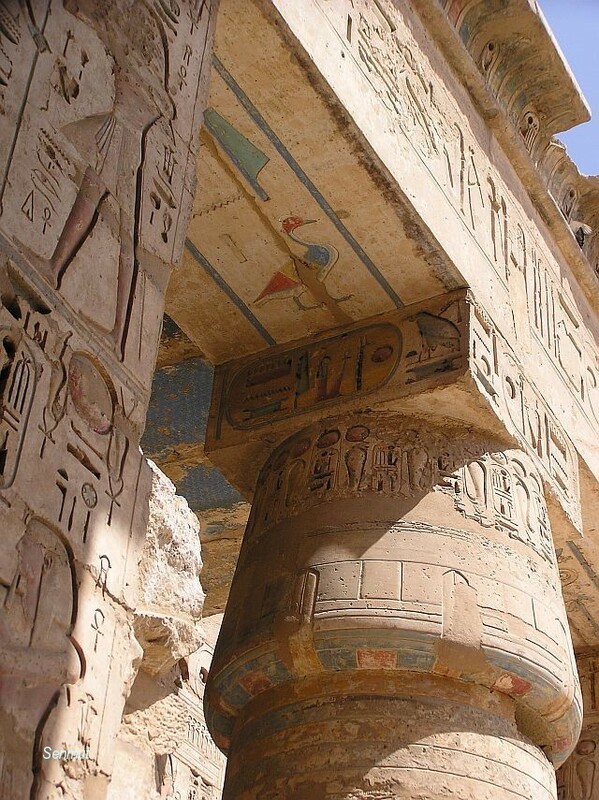 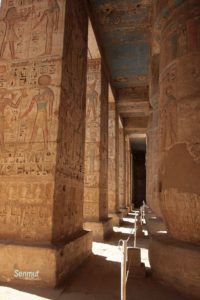 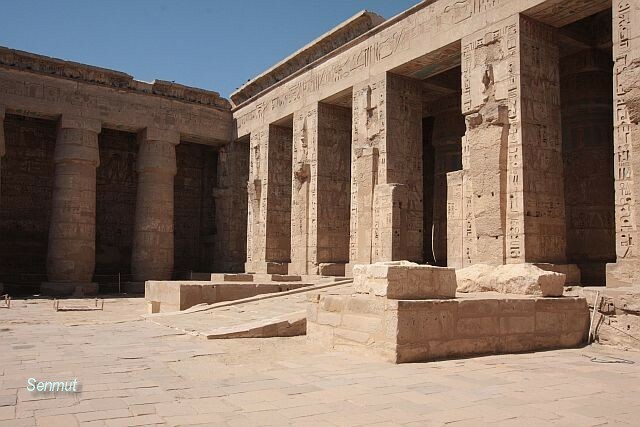 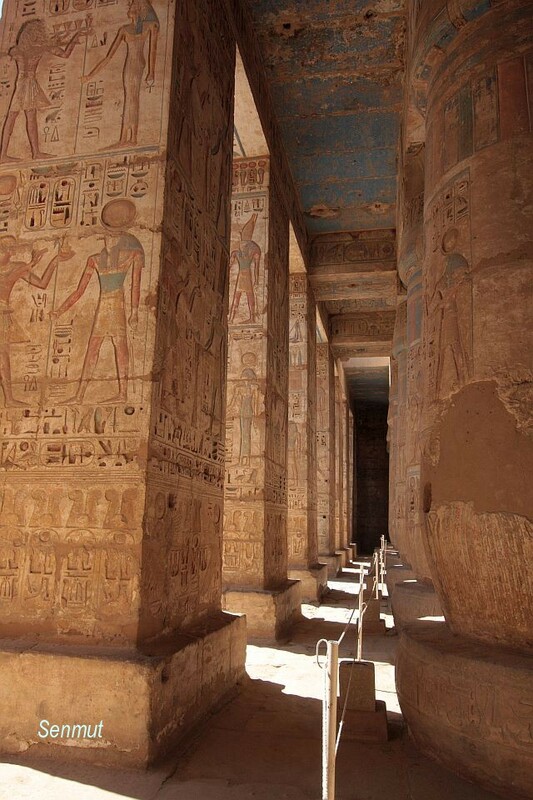 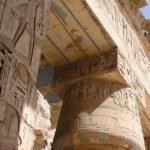 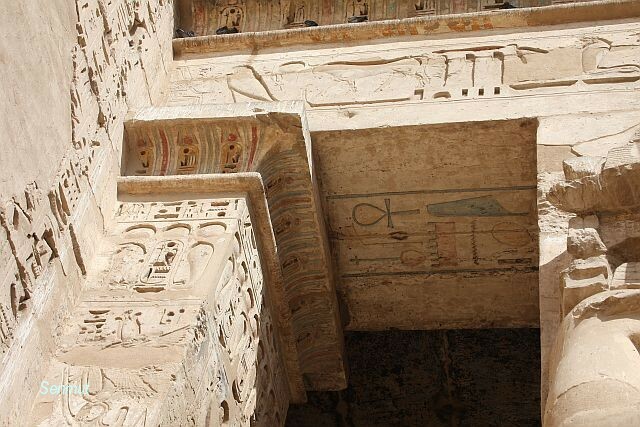 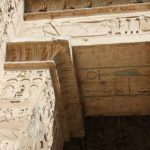 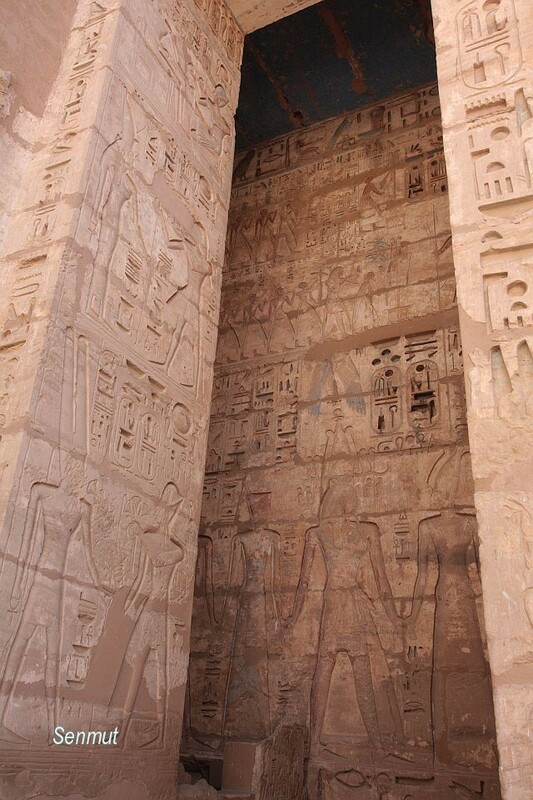 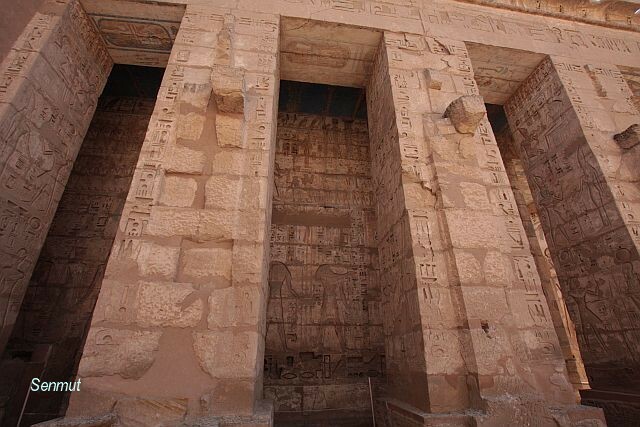 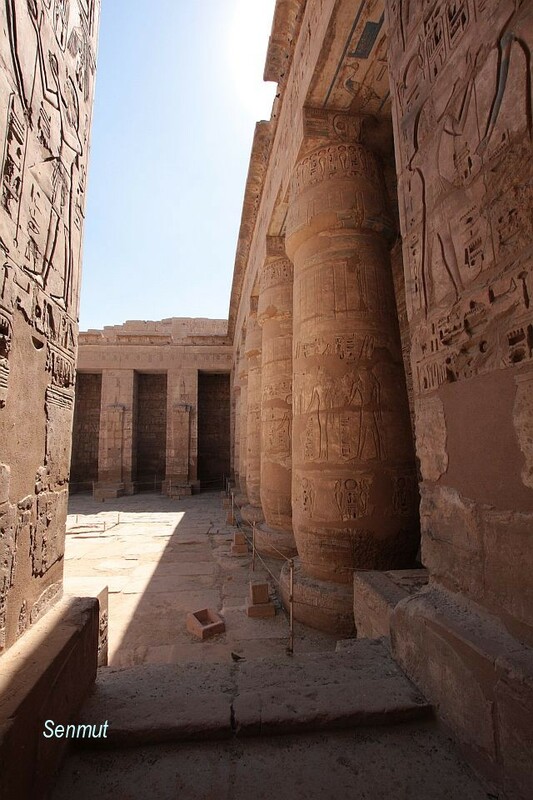 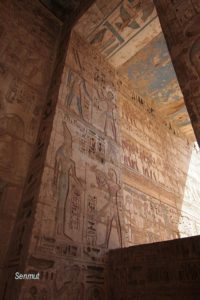 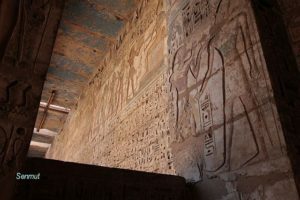 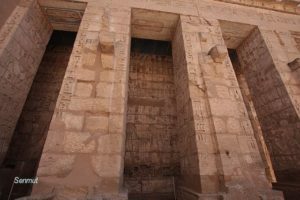 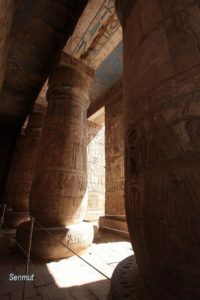 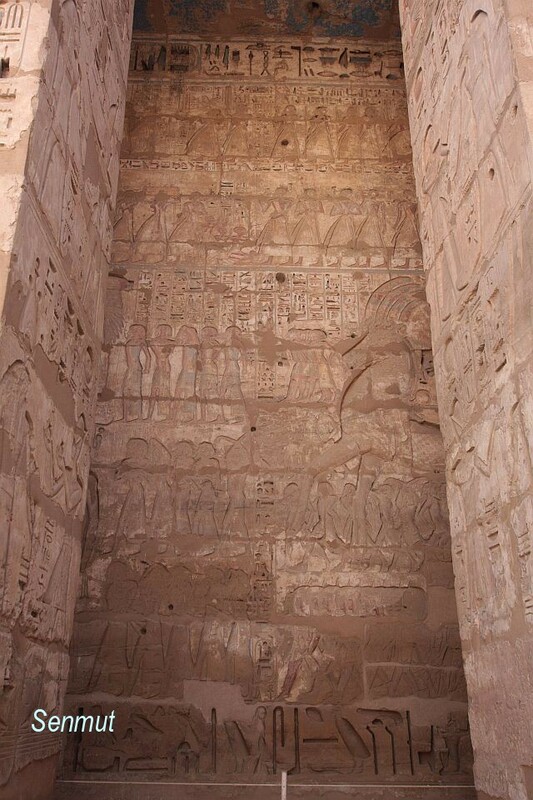 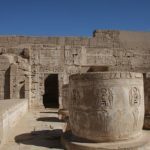 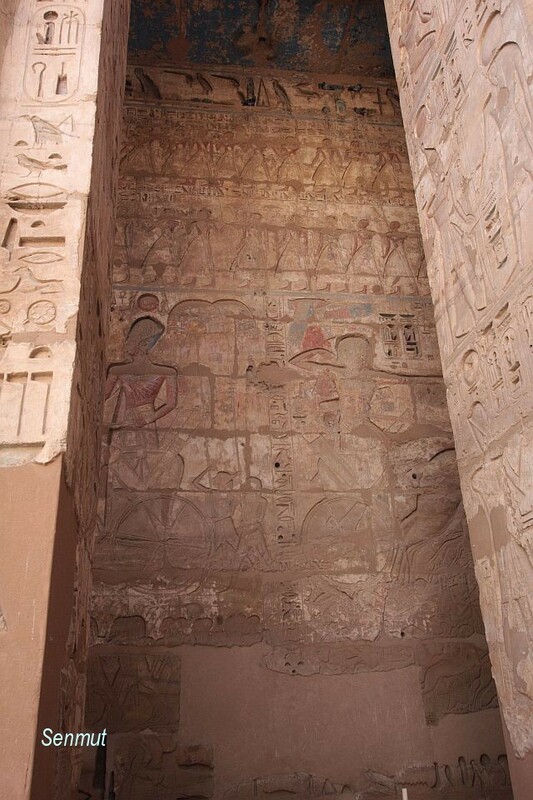 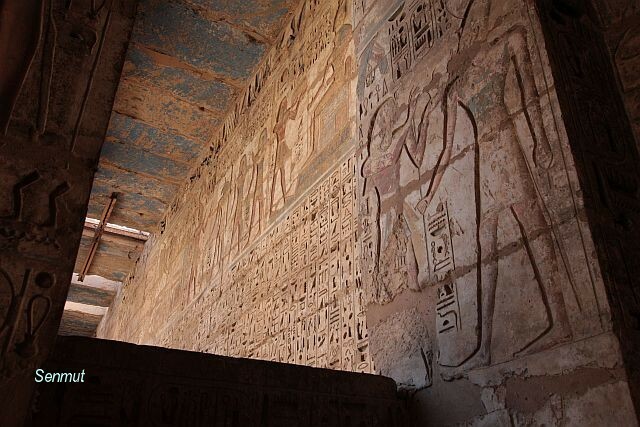 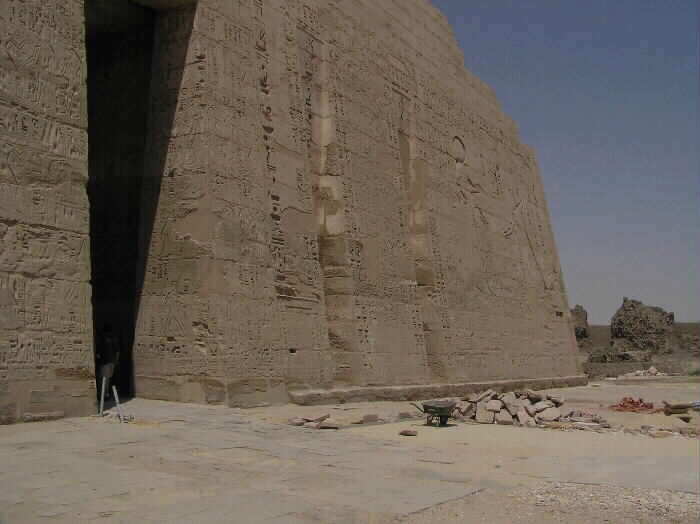 This is the funeral temple of Ramses 3 and in fact the last temple from the old or traditional temple. 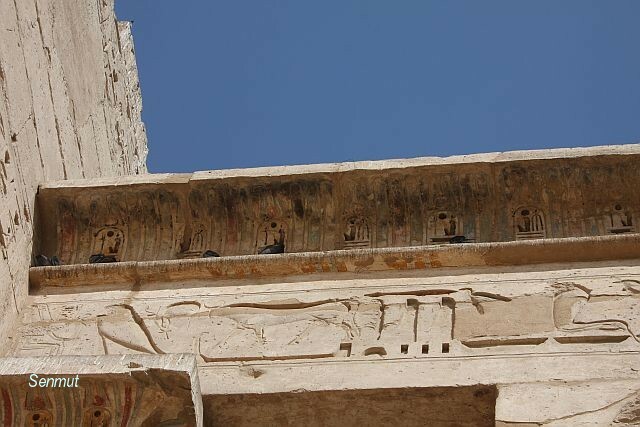 Many walls and collumns still bear the original colors and 2/3 of the temple is still in good condition. 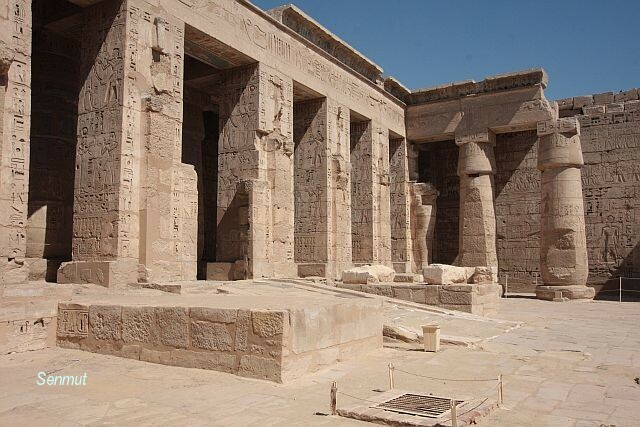 Only the last section, hypostyle hall and Holy of Holies is partly destroyed. 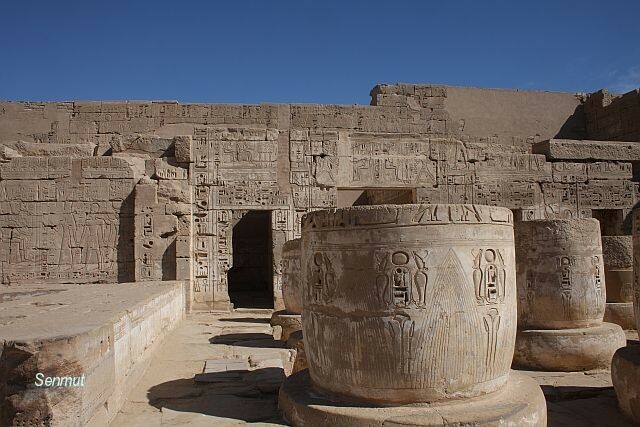 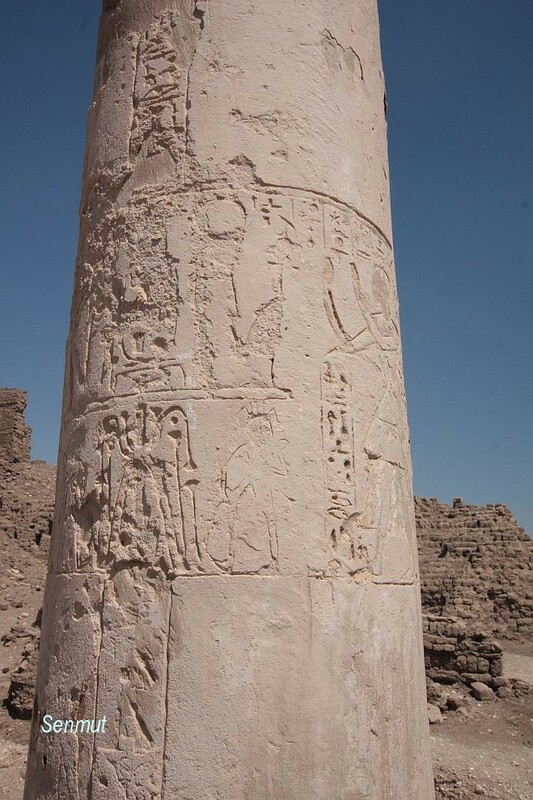 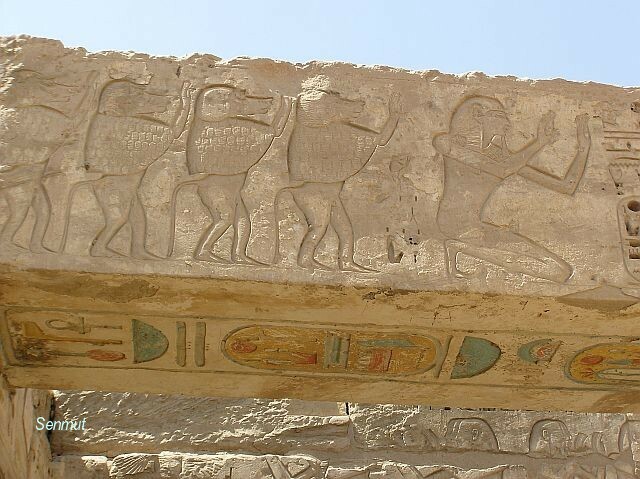 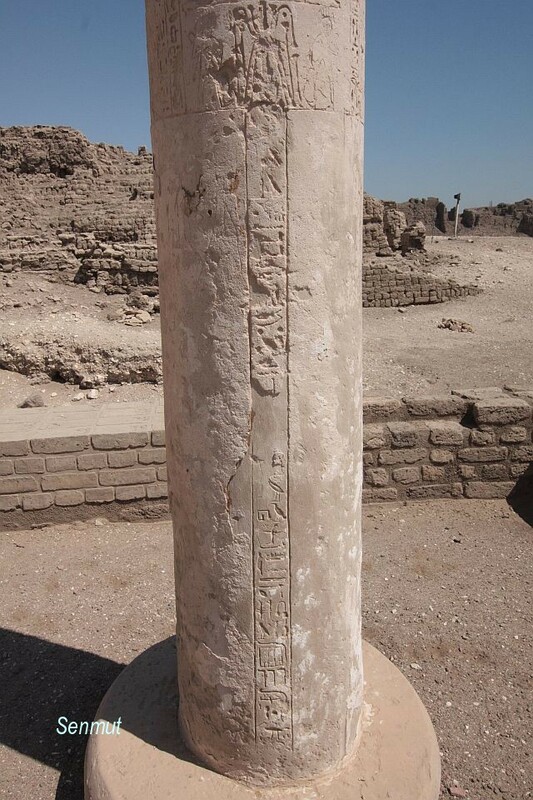 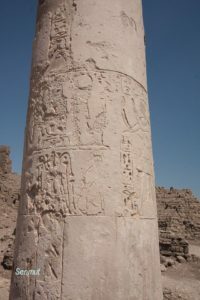 With the death of Ramses 3, 2nd farao of the 20th dyn, the great period of Egypt is gone as well. 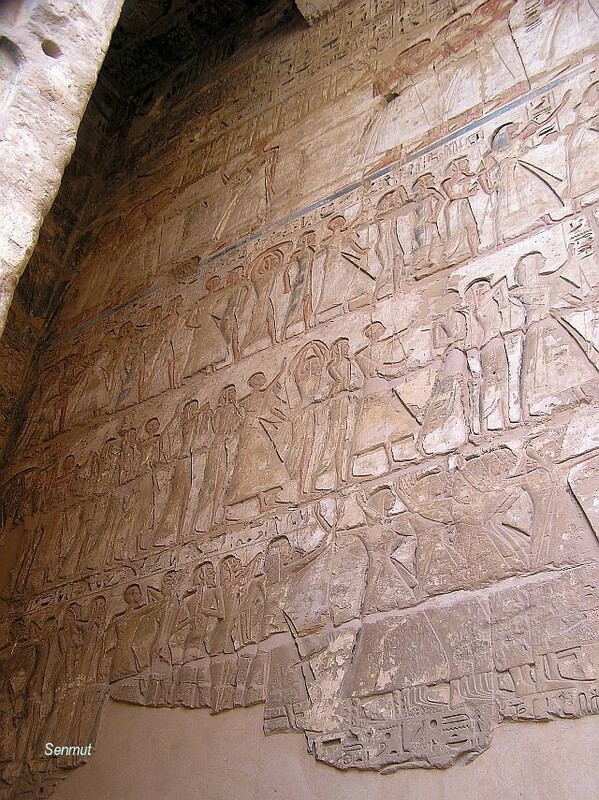 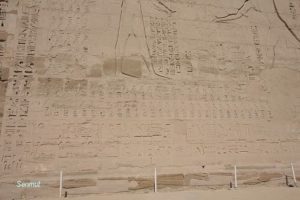 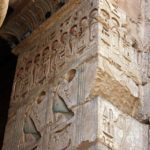 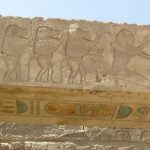 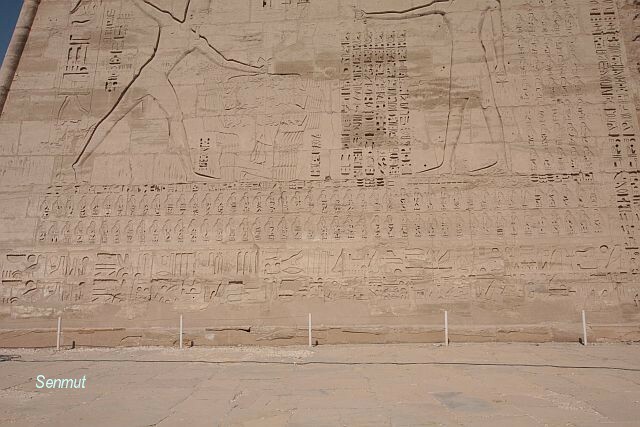 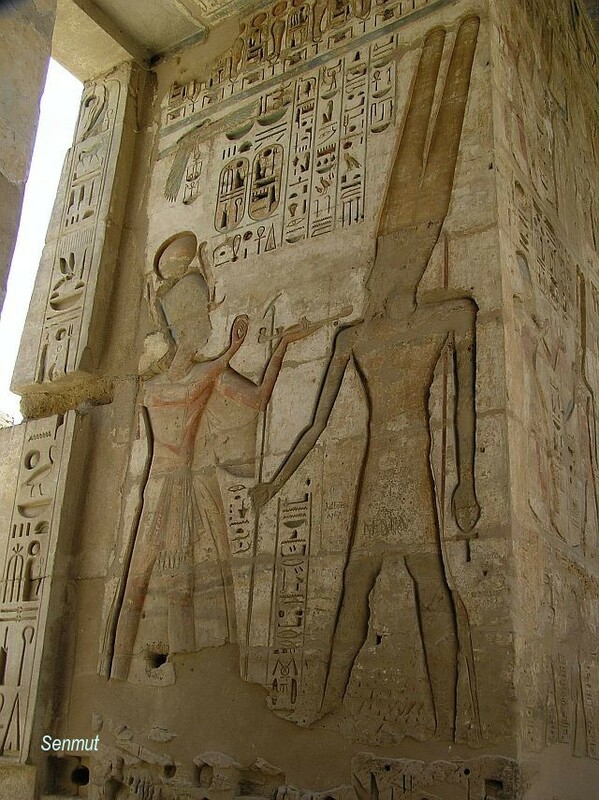 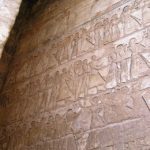 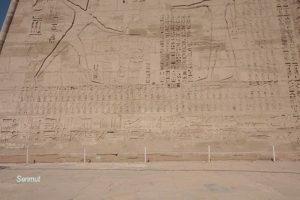 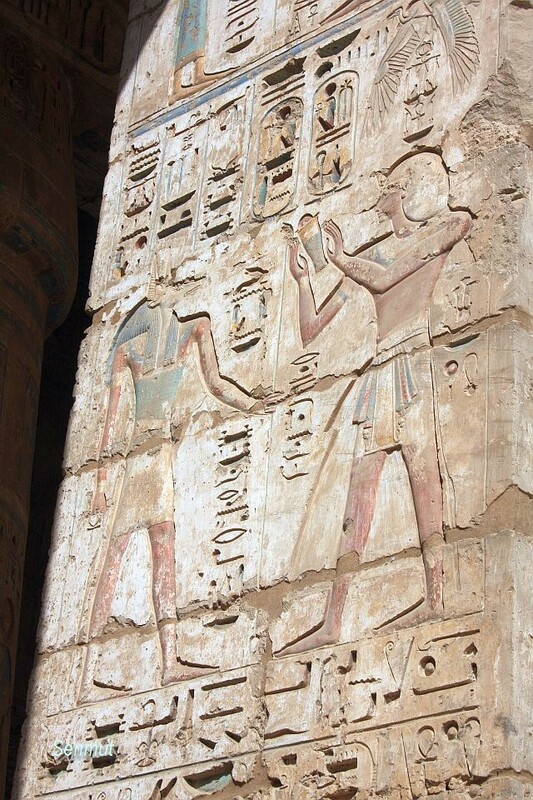 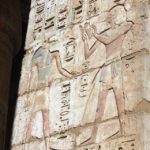 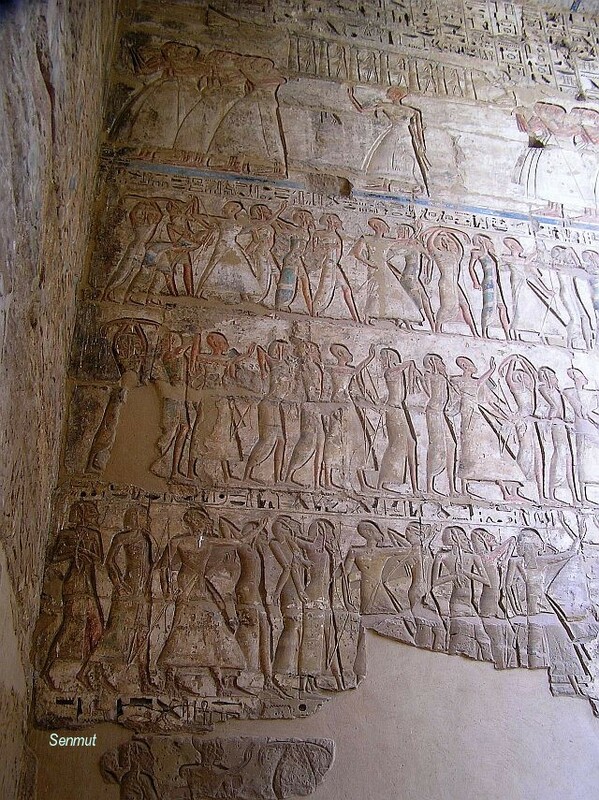 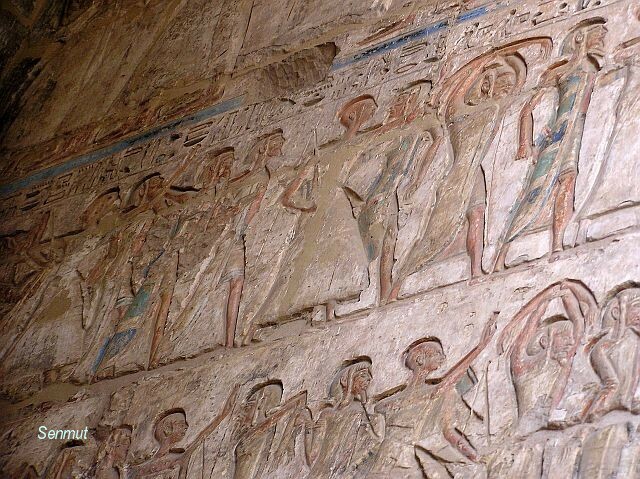 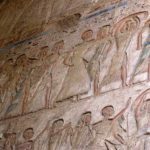 The successors Ramses 4 to 12 were to weak and to short in reign ( total of approx 20 years). 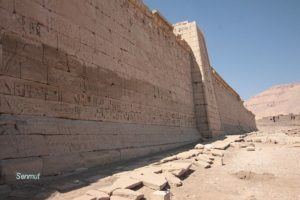 An empty treasury, exhausted mines and quarries, never stopping invasions of neighboring countries, were the cause that in this period the fashion of robbing the neighbors came on. Statues, stone, anything usable, was taken from the existing buildings and altered, adding their own names. 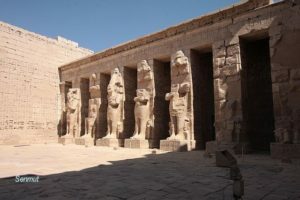 And with the end of the 20th dyn, there also comes an end to the Golden Age of Egypt. 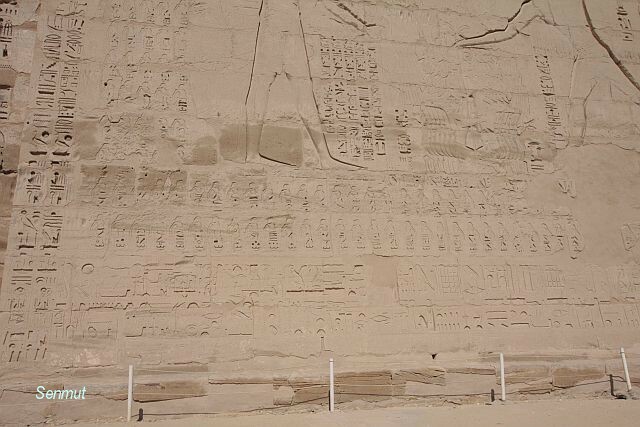 After that the Two Lands, again fall into 2 separate lands with 2 capitols Thebes and Tanis. 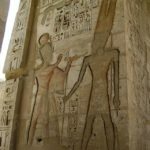 Faraos are no longer from royal stock, but priests seizing the power.